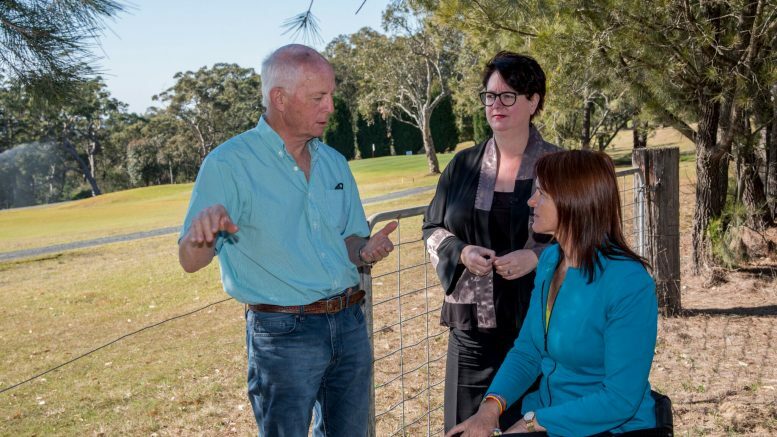 The NSW Opposition has revealed that two Berejiklian Government ministers have contradicted each other about the potential contamination of groundwater from the Mangrove Mountain landfill site. Parliamentary questions have exposed the inconsistency, which adds weight to claims aired on a recent 4 Corners program, that landfill matter had previously intercepted the groundwater table and was considered a high potential for contamination, all within the Central Coast’s drinking water catchment. However, another recent answer given by embattled Primary Industries and Regional Water Minister, Mr Niall Blair, provided other information to Parliament about breaches of the groundwater aquifers. “While early reports related to the site did not indicate groundwater interception, a more recent inspection identified groundwater interception,” Mr Blair said. “As such, Water NSW is in the process of determining whether a water access licence for the site is required,” he said. More damning evidence was piled on by 4 Corners, as previously reported in Coast Community News, which displayed a Department of Primary Industries memo from 2012 that stated the groundwater table had been intercepted and the potential for contamination was high, and recommended that prosecution be considered. “Yet five years, later the ministers in charge of protecting drinking water give differing accounts, while Mr Blair may have misled the NSW Parliament by stating ‘early reports related to the site did not indicate groundwater interception’, when his own department’s 2012 memo clearly contradicts this,” Ms Sharpe said. “Given the landfill was originally approved for 80,000 cubic metres of clean fill, but is now reported to hold ten times that amount, these are serious allegations for the Government to answer, and the community deserves to know the truth,” she said. “Misleading the Parliament is a sackable offence as it is, but misleading the community about the potential contamination of drinking water for five years? The Member for Gosford, Ms Liesl Tesch, accompanied Ms Sharpe to Mangrove Mountain on Wednesday, August 23, to call for immediate government action. “The community has every right to expect their government to undertake a full investigation of any potential contamination in our drinking water catchment, and to be open and transparent about the results,” Ms Tesch said. “I’m appalled that five years ago, the Government was aware of a high potential for contamination of the groundwater table and did not inform the community, and now here we are, five years later, and it appears that nothing has changed,” she said.